Natasha Rachell, a Digital Learning Specialist from Atlanta, GA, has been rockin' out Flipgrid since October 2013 🙌. Over the past 4.5 years, Natasha has witnessed the vast impact of Flipgrid in multiple learning environments. She is a Flipgrid Certified Educator and Flipgrid Ambassador who shares Flipgrid not only within her district but also at educational conferences and summits around the United States and world-wide through Twitter! As she would say "It's easy to get started, just use my FREE 45 day trial code RACHELL if you're interested." Natasha expresses that Flipgrid is POWERFUL 💥. Plain and simple...Flipgrid gives students a VOICE! Flipgrid allows those that are quiet and nervous the opportunity to share their ideas and thoughts in a manner that is conducive to their learning styles. It appeals to every student in the classroom. I love that students are able to show their personalities through the manner in which they record as well as creating the "thumbnail" photo for their responses with stickers. Flipgrid has grown so organically but has spread like wild-fire in our district! In addition to teachers using Flipgrid, administrators use Flipgrid to flip staff meetings and our central office staff embraces Flipgrid as a means of collecting feedback from professional learning sessions. Dive in and try it!!! Don't be scared! Put it out in the universe to see! Students are engaging with Flipgrid from ALL across the world! Once you figure it out, share it with other educators! The more, the merrier! 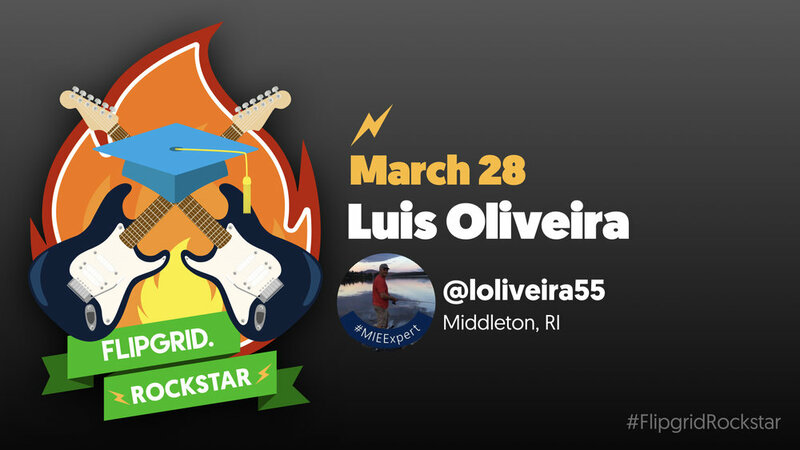 Luis Oliveira, a Director of Unified Arts and ELL teacher from Middleton, RI, has been rockin' out Flipgrid for over a year. Luis embodies the beliefs that all students have a voice and all voices should be amplified. Luis took a blast with Flipgrid as well as a plunge into becoming Flipgrid Certified - Level 1 & Level 2 certified. As a Flipgrid Ambassador, Luis is active in sharing the impact he witnesses daily by the use of Flipgrid, especially for English Language Learners and creating resources to support other educators. His passion shows he is committed to meet the needs of all learners, therefore Luis describes Flipgrid as being "reflective." I work with English Language Learners (ELL) and Flipgrid has given my students a voice. They can communicate their ideas without the fear of being in the front of an audience before they are ready. Flipgrid has shortened the silent period that most ELLs go through. It also gives my students many opportunities to practice their oral skills. The advice that I always give to new users is to just jump in and use it. It is so simple to use that learning by doing is the way to go. Kali Alford, a Digital Learning Coordinator from Atlanta, Georgia, has been rockin' out Flipgrid for over 3 years! 🙌 As one of the first Flipgrid Ambassadors, Kali has made a tremendous impact on the evolution of Flipgrid, the inspiration behind the Flipgrid Mic Drop emoji & has supported the #FlipgridFever community with creative grid tips. He speaks passionately about the power within Flipgrid to create the deep dialogue needed for continuous learning and growth. In addition to using Flipgrid with students he leverages Flipgrid to create meaningful learning experiences for educators. Through his innovative efforts, he was one of the first to power an entire conference with Flipgrid! Kali believes Flipgrid creates "opportunity." I've often used Flipgrid as a means of introducing the benefits of EdTech to my reluctant learners. Its ease of use is a great way to get educators to buy in. One of my current responsibilities is instructional design. I build courses and resources for teachers to access in their own time. Flipgrid has been an awesome way to connect my learners regardless of when they are accessing the content. It's truly a bridge to connect learners through dialogue regardless of the time or times they choose to learn. Flipgrid is great way to make every learner feel that they are supported and are an integral part of your classroom community. 📣 Build a community around your Grid. 📣 Every student has a voice that should not only be heard, but also celebrated. 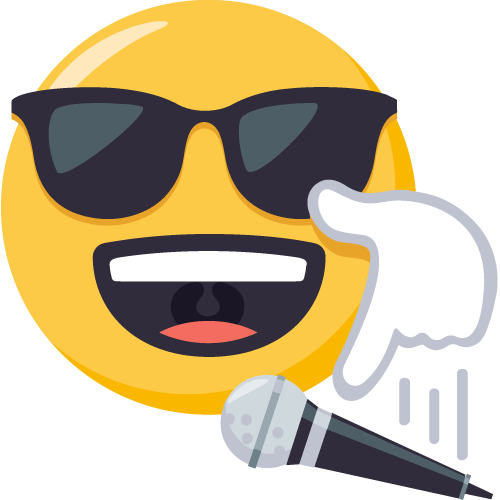 📣 Encourage learners to respond, share, like, and drop mics on their classmates responses.